I wonder how much of how crappy I feel is from allergies. I wonder this all the time because I have never been able to accurately pinpoint my allergy “symptoms”. I don’t think I have any, but doctors continue to insist that I do. When I was a toddler, doctors did a whole slew of skin-prick tests and told my mother I was allergic to half the things on earth. I’ve seen the list: dogs, dust, insects, newspaper, hog hair (?! )… it goes on and on. Of course we ignored it and I don’t remember being plagued by any allergy symptoms throughout my life (or maybe I was and it was “normal” to me, who knows?). Then, during a check-up about 5 years ago, a doctor told me I was “boggy” in my nasal cavities and said I should use Flonase to help with the symptoms, but I didn’t know anything different, so I never thought I had symptoms, so I never used the Flonase. Then, after I fell ill with ME, I had some skin prick tests done again (searching, like so many of us do, for any answer to my problems). I was told I was allergic to dogs, cats, and dust mites. This time I took it marginally seriously and began the endless quest to kill dust mites (mattress, duvet and pillow covers, new allergy comforter, new latex pillow, wash bedding weekly in dust mite-killing detergent, HEPA air filter, UV and bright light, wet dust etc.) and started the lonely nights in bed without my pups to cuddle. Nothing about my symptoms changed. My ME/CFS symptoms, that is. Like I said, who even knows if I actually have symptoms to these supposed allergies at all? I don’t sneeze, I don’t itch ~ could my allergy symptoms simply be tiredness and a “bogginess” I never knew existed? 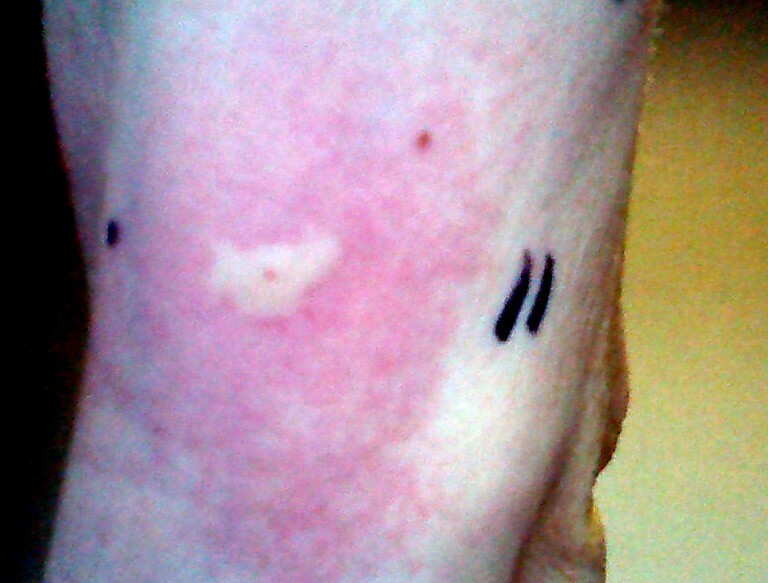 “Yes,” the allergist said. “You will be able to breathe better and have so much more energy to play with your dogs, that you won’t mind not having them on the bed.” Never happened. 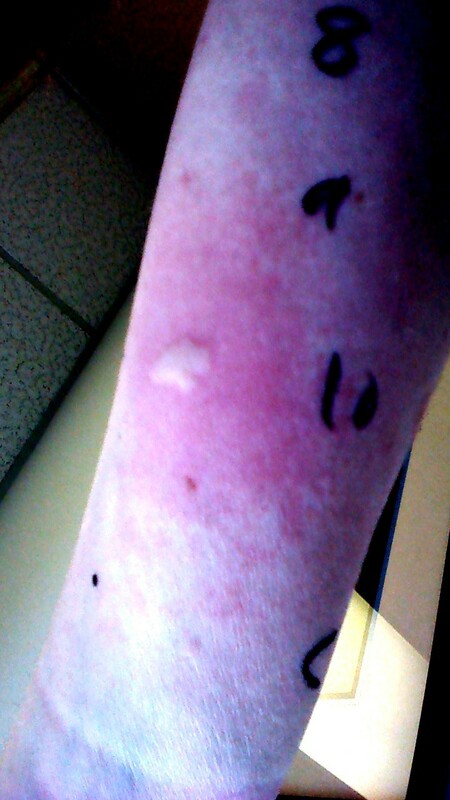 Then I was tested for allergic reactions to trees, weeds, grasses, and molds. I was allergic to all of it, especially alders and birch trees (see photos below). Uh oh. There are birches all over our neighbourhood ~ we have one in our garden. There is an alder tree next door, looking over our yard. 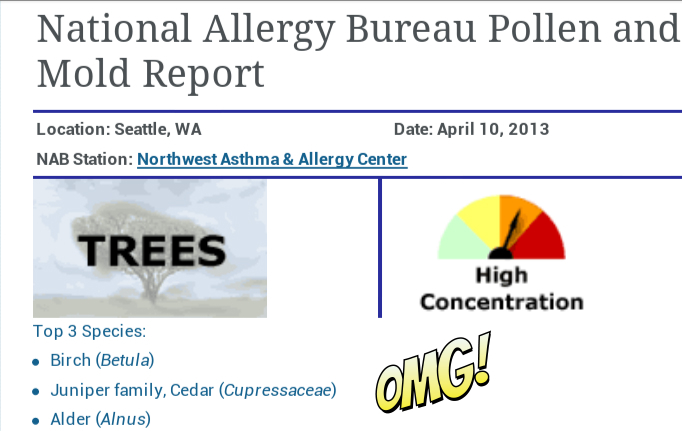 I looked up the current pollen count for our area: HIGH for trees, especially birch, alder and juniper. What do I do with this information? I took a child dose of Zyrtec because I thought I should do something, but, as usual, I can’t really pinpoint symptoms. Yeah, my nose runs and my eyes feel … annoying… But, they don’t itch and I’m not sneezing and spluttering like those poor souls in the ads on tv. Should I be taking more antihistamines more often? Could it eventually help some of these allergic reactions I don’t even know I’m having? The doctor last year gave me Nasonex and oral steroids. They went in the drawer, unopened, of course. 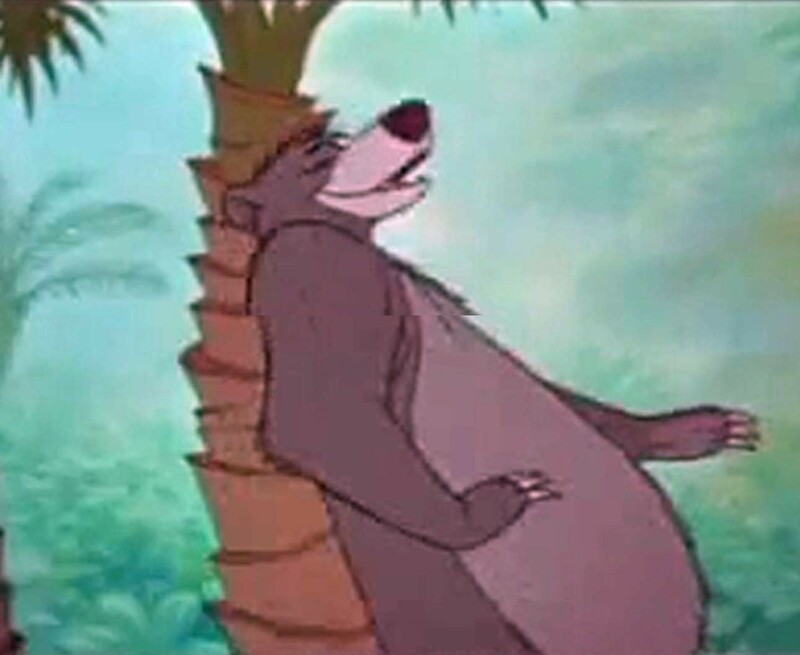 Maybe my allergic reaction would be more obvious if I went outside and rubbed my back up and down our birch, Baloo-style. And I haven’t even started into the yes-you-have-food-allergies/no-don’t-trust-the-results arguments the doctors have when it comes to my positive blood antibody tests to tomatoes, cod and egg. I’ve always thought, if it’s not anaphylaxis, who cares? Unfortunately, with ME/CFS, it seems I HAVE TO care because reducing my body’s inflammation and stress hormones and toxins and oxidative stress and everything else that life throws at us is the only sure-fire way to feel better. Maybe Dr. Cheney was right when he joked that he’d like to be able to put patients in a coma to facilitate recovery ~ and, while he’s at it, how about we lie in a sterile bubble in a hermetically sealed room with no visitors, happy images fed into our subconscious, and nothing but anti-inflammatory glop in the feeding tube? I’d rather curl up with my dogs (and the hogs) in the dirt and grass of the garden, under the shade of the alder, with a cold Mac & Jacks, and eat an omelet with some pico de gallo … and a cod and chips… with mayo and ketchup… fried in something other than coconut or olive oil… and live life. Allergies and all.